While the 2019 Hyundai Santro (Hyundai AH2) was expected to launch at a starting price of INR 4 lakhs*, a new report from Autocar India states that the prices should start in the region of INR 3.7 lakhs*. The 2019 Hyundai Santro's pre-bookings will commence on 10 October 2018. According to the report, the 2019 Hyundai Santro’s prices should start in the region of INR 3.7 lakhs*. Five grades will be available at the time of the launch: Era, Magna, Sportz, Sportz (O) and Asta. The range-topping Asta grade of the new entry-level car will cost in the region of INR 5.4 lakh. For reference, base models of close competitors Tata Tiago and Maruti Celerio cost INR 3.40 lakhs* and INR 4.21 lakhs* respectively. The 2019 Hyundai Santro will employ a 1.1-litre four-cylinder petrol engine that produces 69 PS and 99 Nm of torque. Transmission choices will include 5-speed manual and 5-speed Smart Auto AMT. The Automated Manual Transmission (AMT) variants are expected a command a premium of INR 30,000. The petrol variants of the car will have an ARAI-certified fuel economy rating of 20.3 km/l in both MT and AMT configurations. The new model will reportedly offer an optional factory-fitted CNG kit. The Hyundai AH2 will likely feature ABS, driver airbag, driver and co-driver SBR, speed alert system and manual override for central locking system as standard. 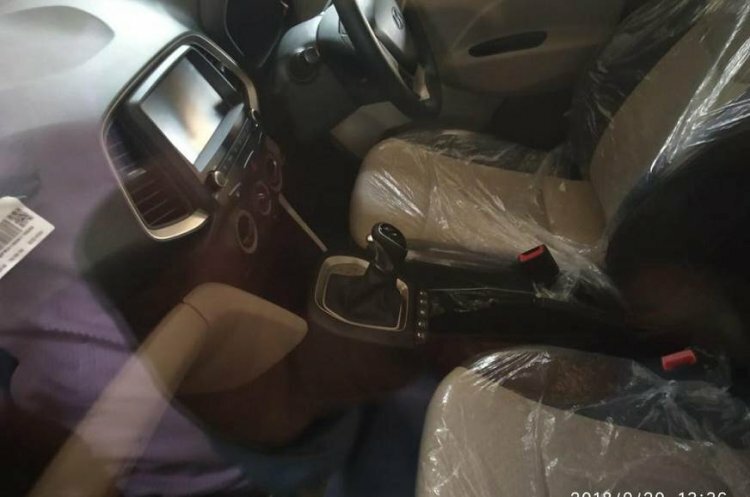 Other key features, available in the higher grades will likely include co-driver airbag, rear parking sensors, rear parking camera, rear wiper, electrically adjustable mirrors, height adjustable driver’s seat, and rear AC vents. Customers won't get the AMT option in the Asta grade, which will feature a 7-inch touchscreen infotainment system with Apple CarPlay and Android Auto support. However, Hyundai will offer this system in the AMT model in some other grade, possibly Sportz (O). That said, the AMT model will lose out some other goodies exclusive to the Asta grade. Hyundai will sell the 2019 Santro in five grades: Era, Magna, Sportz, Sportz (O) and Asta. 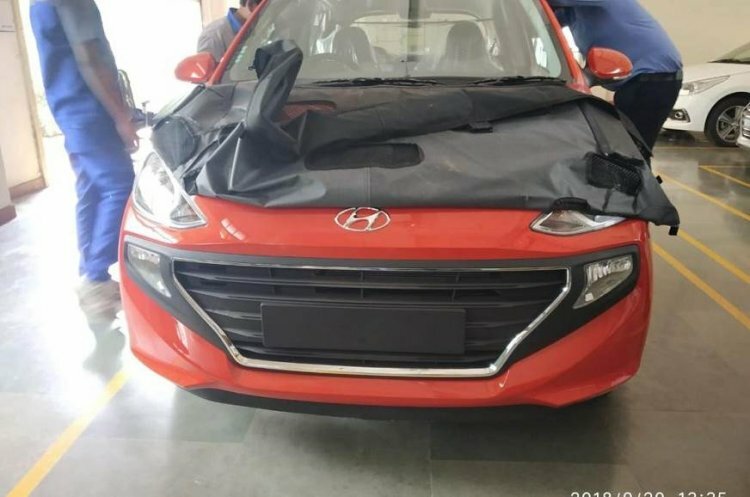 The 2019 Hyundai Santro will be unveiled to the media at an official event that will take place later today. The launch will follow on 23 October.